This unit has drywall damage from Hurricane Michael. The fee has been paid for repairs that will be completed by the HOA. All measurements are believed accurate but should be checked if important to buyer. This complex is a super rental property in close proximity to all of the shopping and dining that makes this area so popular to guests. The pool is presently not operational but will be redone. 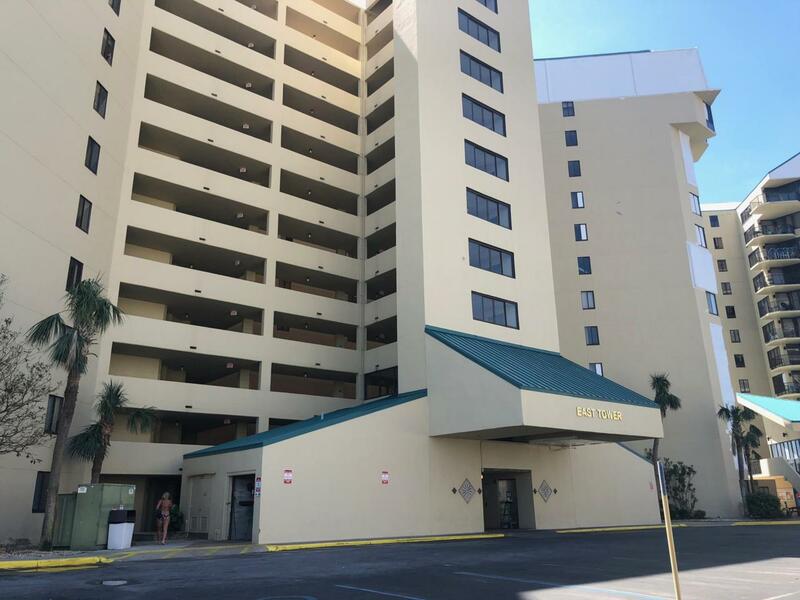 This one bedroom is close to the grill area and would be a great beach get away or a full time rental property for it's owner.